We are so excited to now offer this deep and luxurious massage style in our Spa with Summer Greenlees! In Japanese, “ashi” translates to foot, and “atsu” into pressure. With the Ashiatsu technique, the therapist holds onto parallel overhead bars and uses their clean feet to apply pressure in broad fluid strokes. The use of the bars allows the practitioner to work with gravity to apply deeper, more even pressure. The result is an intensely relaxing massage session. The broader surface area of the foot offers a more comfortable sensation when pressure is applied, as opposed to the pointier thumb or elbow used in a deep tissue massage. Most Ashi techniques are done with one foot at a time, in a specific and focused way, or by sitting on a stool if using both feet at the same time. Summer uses both hands and feet during her sessions, allowing for a fuller exploration of depth and details. The pressure of the massage is completely customizable – it can be light as a feather or as deep as possible. It all depends on what the client wants! The deeper pressure applied with the Ashiatsu method offers a greater sense of relief to the muscles and fascia, leading to increased circulation of the blood, pain relief, and greater feelings of decompression. Find a whole new, wonderful meaning to the phrase “being walked all over”! 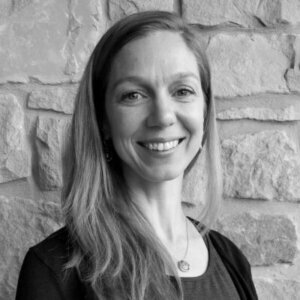 Summer Greenlees has been a licensed Massage Therapist since 1998, and was the recipient of the “Best Massage Therapist” award from the Austin Birth Awards in 2013. She works with clients of all ages and fitness levels, utilizing a holistic approach that supports a healthy lifestyle. In addition to Ashiatsu Oriental Bar Therapy/”Deep Feet” Massage Therapy, Summer specializes in Swedish/relaxation massage, sports, prenatal and postnatal, and deep tissue and myofascial release. All clients: Early arrivals are appreciated to ensure all intake forms are completed. For hair removal: Hair should be between ¼" and ½" in length. If your hair is longer, we recommend trimming prior to reservation. After hair removal, we recommend avoiding sun exposure and excessive sweating to lessen the chances of bacterial infection. For lash clients: For best results we recommend our specific mascara and make-up remover. Avoid tugging or rubbing your eyes to keep your lashes longer. Fills should be booked every 2 weeks and extended fills after 3 weeks. Please arrive without mascara. For Structural Integration: Wear something that you will be comfortable standing, walking, and moving around in. Gym shorts or boxer briefs for men, and yoga shorts and a sports bra for women are recommended. For your health and comfort: We do not wax or perform peels on clients who are using Retin A, Accutane, Avage, Tazorac, Differin or any other medication that increases skin exfoliation or compromises the skin. Also, waxing or peels cannot be performed on people who have recently had laser treatments, plastic surgery, or sunburn. Note: We observe a 24-hour cancellation policy on all personal services. You can cancel your appointment online up to 24 hours in advance. Late cancellation fees are equal to the booked service.